The Nations upon whose traditional lands the University of Newcastle and the Wollotuka Institute are located is respected and honoured thereby maintaining a pride in place and custodian responsibilities and obligations. Wollotuka operates out of three of the University's campuses situated in different Aboriginal countries on the east coast of Australia. The Birabahn building located on the traditional Aboriginal lands of the Pambalong Clan of the Awabakal Nation is on the main campus of the University and locates the main offices of The Wollotuka Institute which are housed in a uniquely designed learning space. The Birabahn building and surrounds were developed to incorporate aspects of Indigenous practices and culture to present staff, students and community with a warm familiar environment. The design of the building incorporates the motifs of the Eaglehawk, a primary totem of the Awabakal nation. Wollotuka history timelines and local community artwork adorns the walls of the Birabahn Building acknowledging the artistic talents of our people and telling our local stories. A cultural pathway leading to the Birabahn Building acknowledges a timeline of Aboriginal presence on this campus. On the traditional Aboriginal lands of the Darkinung people the community of Wollotuka are located in the Gibalee Centre. This location is traditionally known as a meeting place and a place of teaching, learning and ceremony for the Darkinung people and the bordering Aboriginal countries. These traditions continue today through Wollotuka and the University. Darkinung country is interconnected by creeks, bounded by swamps, rivers, lakes and ocean and is abundant with coastal life. The country is rich in history and the land and the water are the essence of Darkinung culture. Gibalee provides a culturally welcoming and safe environment for our Nguraki, students, staff and community and plays a pivotal role in passing on cultural guidance and increasing knowledge and understanding of Aboriginal and Torres Strait Islander education to the wider campus community. 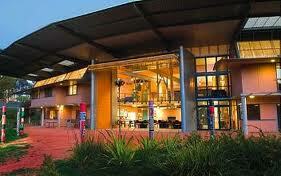 The campus is a collaborative campus of the University, TAFE and Community College. This smaller campus of the University is located on Birpai Country in the mid north coast of NSW with initiation stories such as that of The Three Brothers holding significance to country and place. This campus is also shared with TAFE North Coast providing strong opportunities for broad pathways for our people. All campuses sustain strong relationships with the Traditional Custodians and wider communities to ensure mutual outcomes are achieved.